dance.net - strapping tape in performance (10245883) - Read article: Ballet, Jazz, Modern, Hip Hop, Tap, Irish, Disco, Twirling, Cheer: Photos, Chat, Games, Jobs, Events! 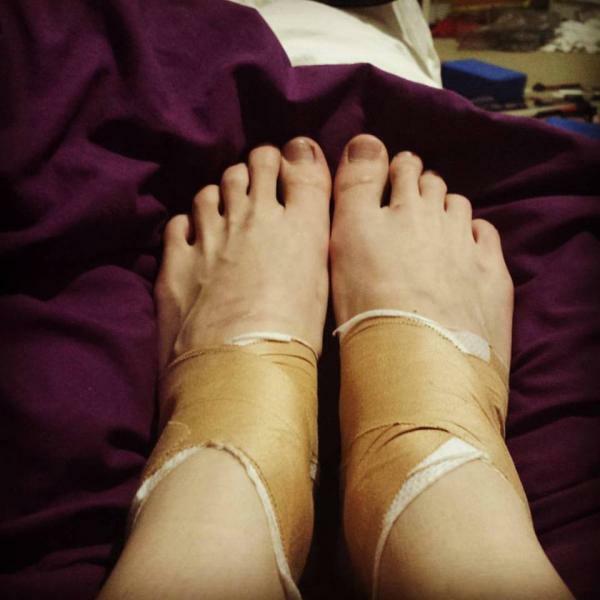 I need to strap my ankles during a few contemporary numbers in my concert as a preventative thing for a recurring injury. only thing is, I dont want it to look terrible. I am pale af so even the "skin colored" tape really stands out. any tips for hiding/making it look less obvious?